Continuing on from my last article Alcheringa has led us to the story of how the Star People came to this earth nearly 1 million years ago from the Pleiades (The Seven Sisters) and helped to create the first humans. He said that a group of souls would come together and speak of their past-life memory of being those Star People. This has come true – and the book Alcheringa when the first ancestors were created is a compilation of their memories. 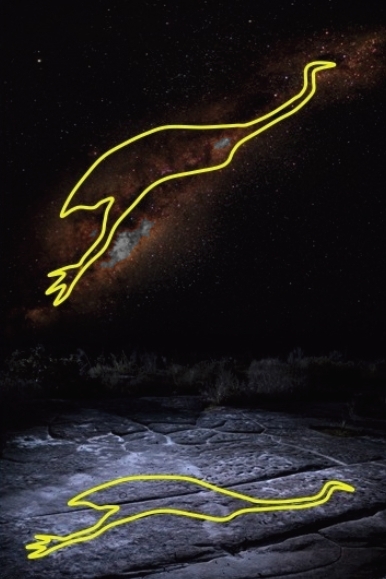 Alcheringa had spoken to us at the site of the Egyptian heiroglyphs carved on the walls of a stone corridor at Kariong, near Gosford on the 10th, October 1995. He advised us he would ‘Release the Keys’ to unfold a doorway of knowledge. This has happened and now 17 years later he has made in his last announcement that the Australian Aborigines are the first humans on earth and that the site at Kariong, near Gosford is an Ancient Egyptian Tomb. It is now up to scientists to prove it. I opened my laptop and it began speaking to me. I had not logged onto any website and I couldn’t figure out where the “talk” was coming from. I laughed and thought ‘upstairs’ wants me to listen to this. It was about the Australian Aborigines being the first astronomers and mention of the Science Museum in Sydney seem to be where ‘upstairs’ wanted me to go. 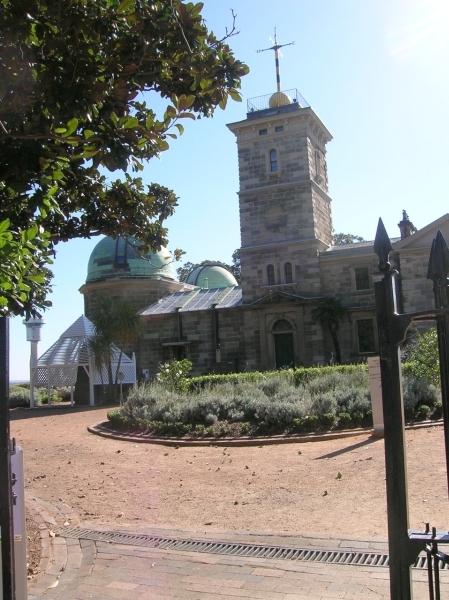 When I made enquires I found the Science Museum was linked to Observatory Hill, near the Sydney Harbour Bridge and that was where there were displays about the Australian Aborigines being the first Astronomers. For eons they have been well aware of the movement of stars and told dreaming stories that related to this. Like Greek astrology, they too had images of various constellations that related to figures, animal, birds or fish. I took the opportunity to travel for 2 hours with John (who was going to Sydney on a business appointment) and I made my way to Observatory Hill. It has a wonderful view all around the city. 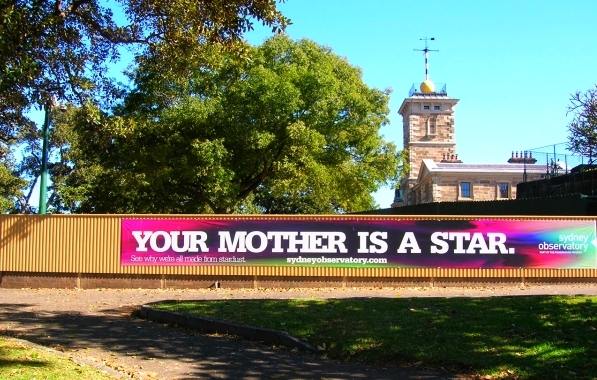 As I approached the entrance I found a banner attached to the fence announcing Your Mother is a Star. Inside the museum there I found huge telescopes and notable historical events in Australia. It was all a buzs about the Transit of Venus across the Sun on 6th June, 2012 — and how the last transit was on 8th June, 2004 and that there would not be another Transit until December 11th, 2117 (and then, eight years later on December 8th, 2125!) What caught my eye was when the Australian Government Astronomer, Henry Chamberlain Russell, had travelled on a Tall Ship to Paris in 1887 for the International Astrophotographic Congress. The photo is of the shadow of the Mast and Funnel of the ship being reflected on the sands of Egypt, possibly in the Suez Canal. It made me think of the time when Captain Cook was on a mission from England to follow the Transit of Venus in the Southern Hemisphere. It led him to discover and make claim to Australia in 1770. It also made me wonder if the Egyptian Princes were on a Mission also, in the 4th Dynasty from 2,620 BC, to follow the Transit of Venus in the Southern Hemisphere in ancient times … Huge sea-going wooden ships have been discovered buried near the Great Pyramid of Giza. 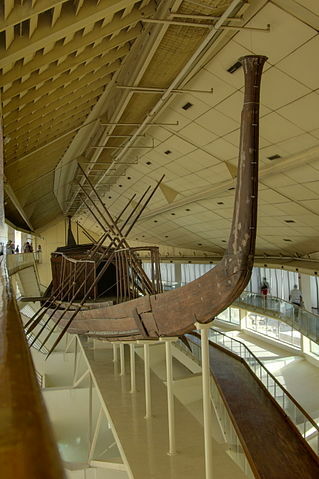 The Khufu ship around 2,500 BC is one of the oldest, largest, and best-preserved vessels from antiquity. It measures 43.6 m (143 ft) long and 5.9 m (19.5 ft) wide. It was thus identified as the world’s oldest intact ship and has been described as “a masterpiece of woodcraft” that could sail today if put into water. However, the vessel may not have been designed for sailing (no rigging) or paddling (no room). Egyptologists say this ship may have been built for funerary purposes – but surely it shows that the Ancient Egyptians were capable of building sea-faring vessels – particularly with tall prows – needed to sail rough oceans. It is only the next Dynasty, the 5th from 2,500 BC when it is recorded that King Sahure digs canal of Bubastis joining Mediterranean with Red Sea and creates powerful military fleet. Undertakes first expedition into fabulous Realm of Punt. Builds various pyramids and a solar temple at Abu Sir. The Spice trade routes were well known in antiquity. 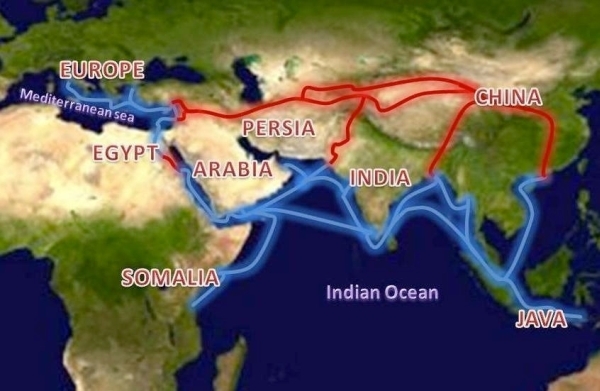 There was the mariner’s route in blue, and the Old Silk Road in red (see photo above). It is easy to see how it would have been to travel in an oceangoing boat from Egypt; south – past Java across the Northern tip of Australia and then south again through the Great Barrier Reef and onto the East Coast of Australia to Broken Bay in the Gosford area. When leaving the Sydney Observatory I found a small book at the reception area, written by an Astrophisicist and speaking about the Australian Aborigines being the first Astronomers. 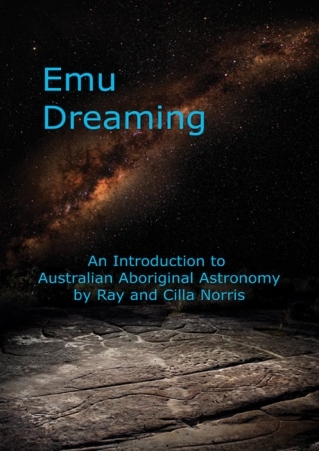 On the cover of the book is an Emu strung out – overlaying the Milky Way in the night sky. Underneath is rock art showing an Emu strung out on a rock, the same way, at Kuringai National Park – not far from Kariong. We have been working to save the land at Kariong from developers and trying to prove that Ancient Hieroglyphs drawn on rock walls were really cut there about 4000 — 5000 years ago. Scientists that had previously believed them to be a hoax are now revisiting the area and confirming that the hieroglyphs are an ancient style of writing. 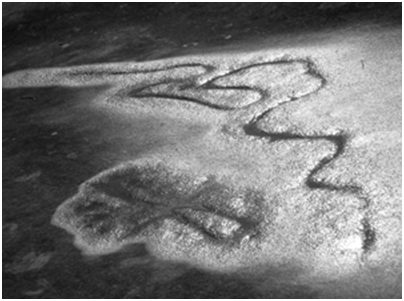 There is evidence of other hieroglyphs and rock art in and around the same area. The article and accompanying photo of River of life, an Ankh and a footprint of Thoth is written by Steven Strong. In the ‘Judgement Day’ photo we have from Egypt, it shows Suti (or Anubis) holding an Ankh giving safe journey through the lower after-life and Thoth as the record keeper of the departed one. 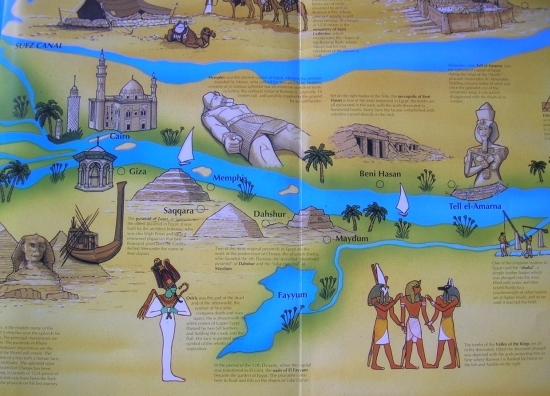 Referring to the photo in Australia, near the Hieroglyph site at Kariong, possibly representing the sacred river Nile, called the river of life in Egypt. 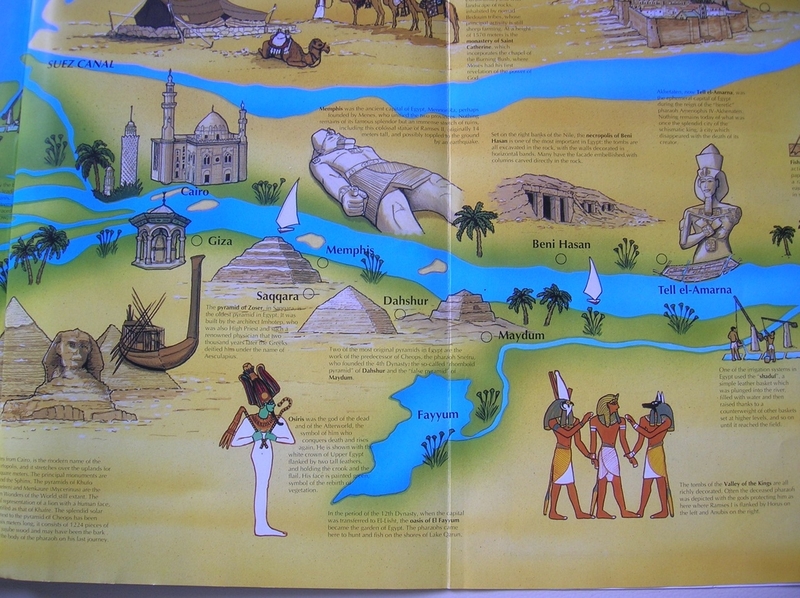 And looking at it closely is it possibly showing the oasis of El Fayyum, known as the Garden of Egypt? The Pharaohs in the 12th Dynasty used to visit there to hunt and fish on the shores of Lake Qarun. The 4th Dynasty is said to be 2,620 BC – over 4,500 years ago. The same time the expedition to Australia was made and King Khufu (the reigning king after Snefru) is said to be the father of the two princes from Egypt. 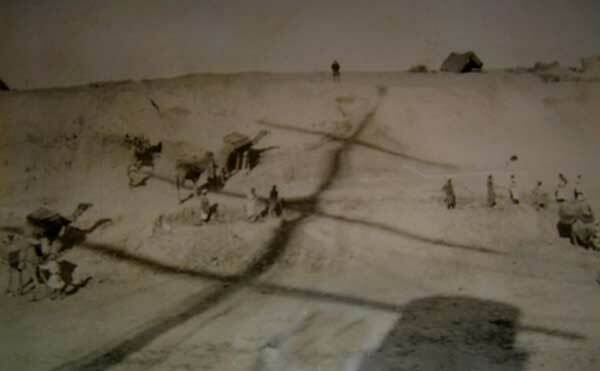 The Pyramids at Dahshur and Maydum are very old and not far from Fayyum, it could be possible that the Pharaohs of those days would have visited Fayyum regularly and even considered it then a sacred place – or at least a place of happy memories. The drawing above could well have been made by the Egyptians in Australia – as an iconic pathway for the spirit of the deceased Prince to find his way home to Egypt for his ‘Judgement’ and then to move on to Heavenly worlds. Coupled with the drawing of the Ankh and the footprint of Thoth – both of which were used in funerary ceremonies. So isn’t this yet more possible evidence that the Ancient Egyptians visited Australia where the Tomb is? The stories are on their way to being proven by Scientists, so please stay tuned. To view a slide show with an excellent summary of the Gosford Glyphs, you may visit here. Olivia has uploaded Wirritjin to Facebook. The soon to come Documentary “About Black Fella – White Fella Dreaming.” You may contact Olivia Olley by leaving a message at the Facebook site. From Dr. Hans-Dieter von Senff, Ph.D.
“THUS SPAKE NEFER-DJESEB“, A Glypt by Glypt transliteration and translation of the Proto-Egyptian Kariong Hieroglyps. Based on the Work of Raymond Johnson.